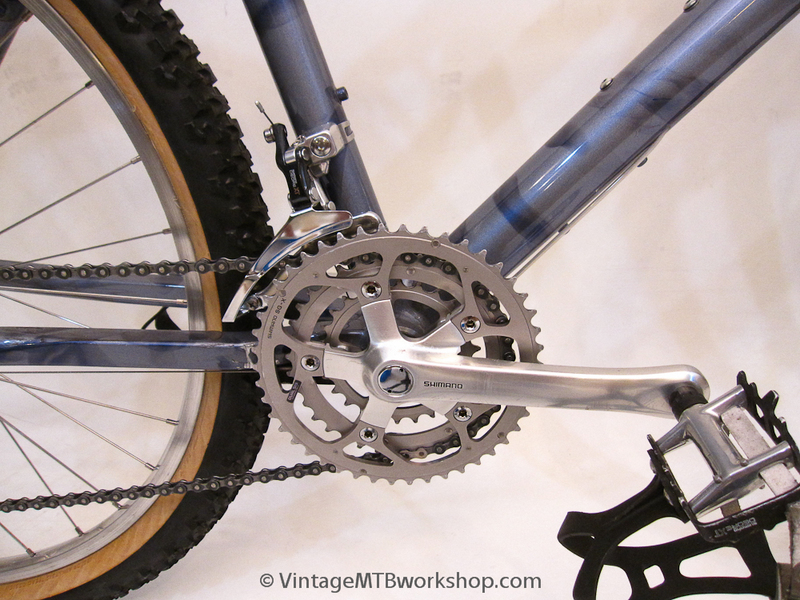 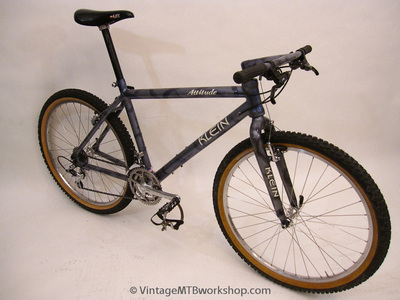 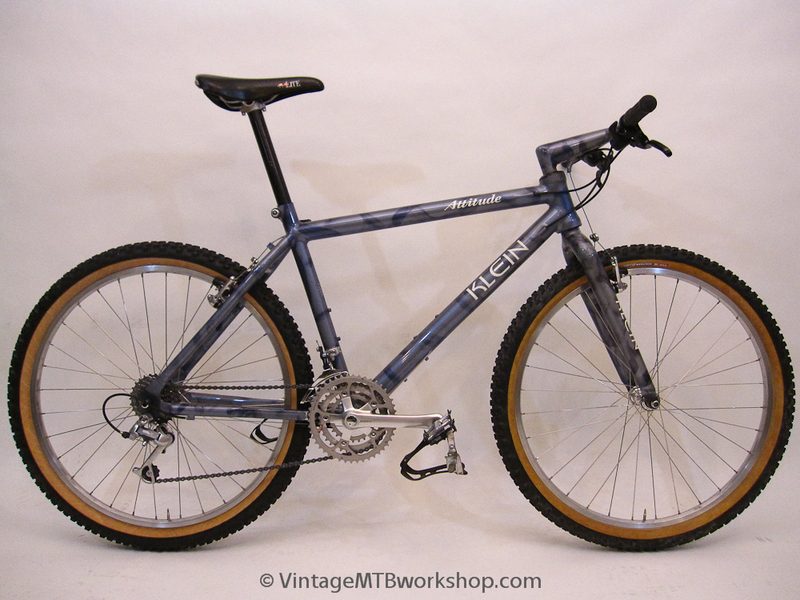 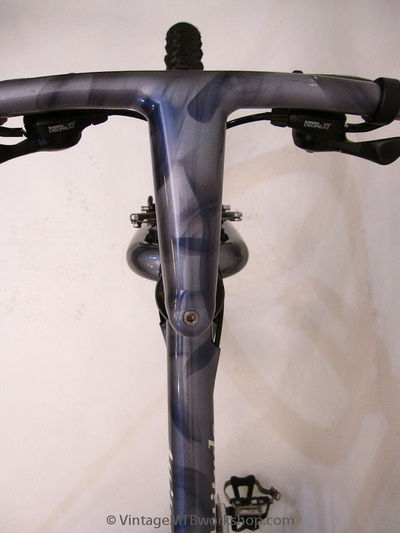 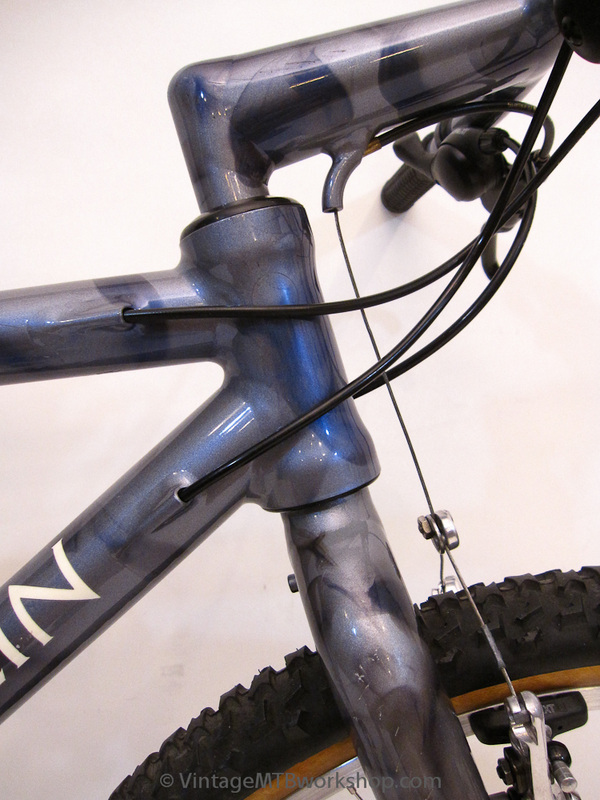 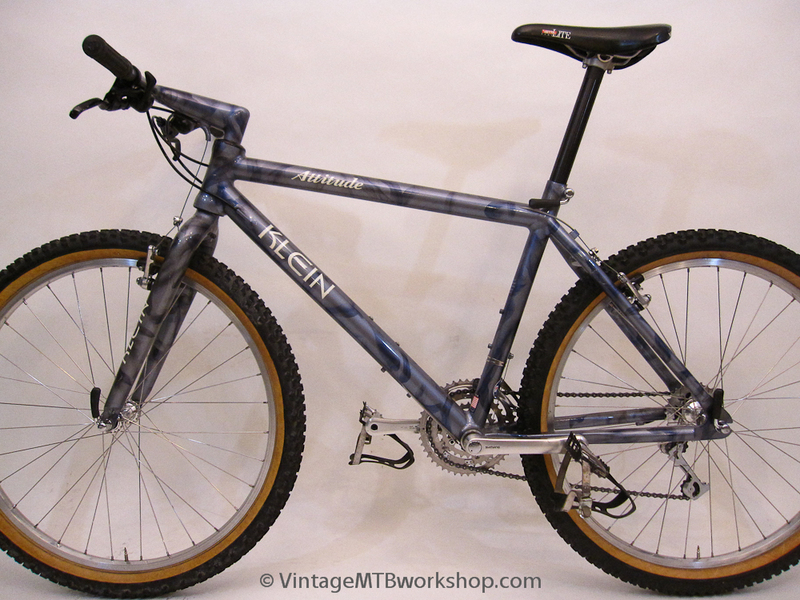 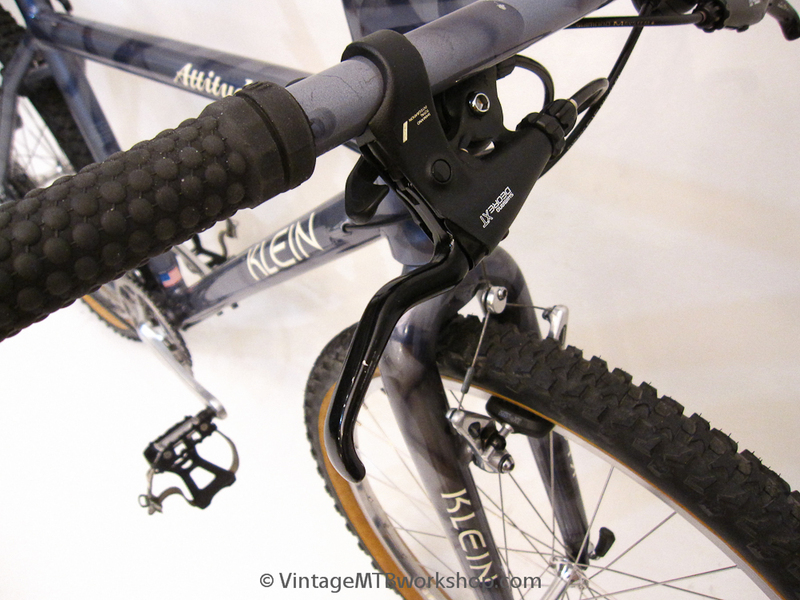 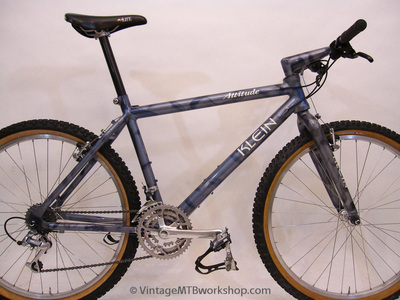 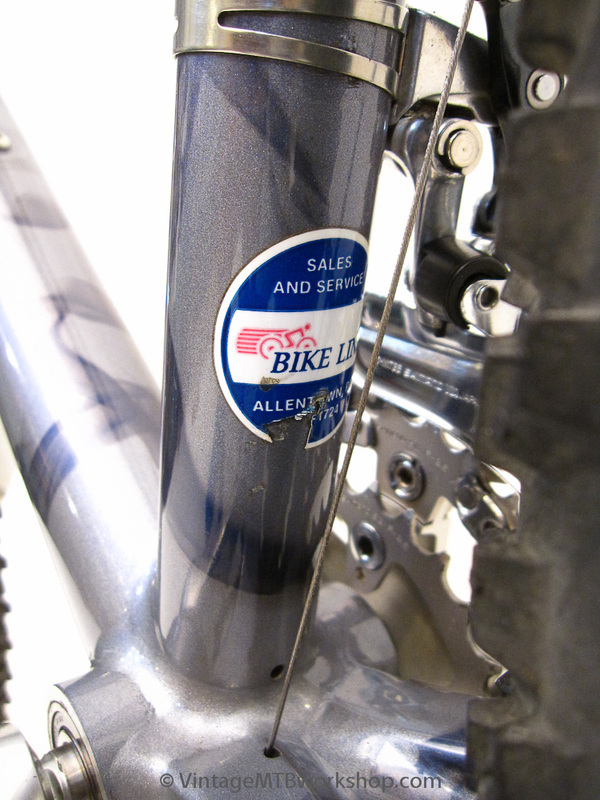 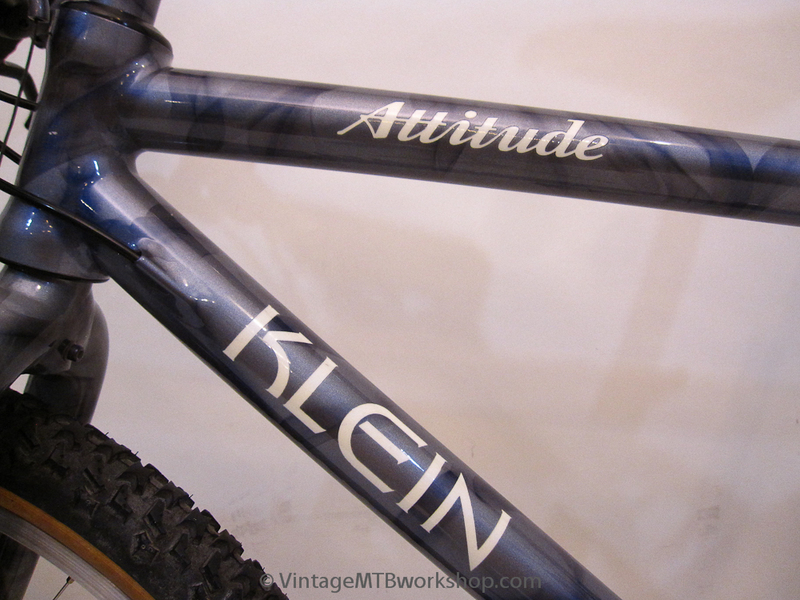 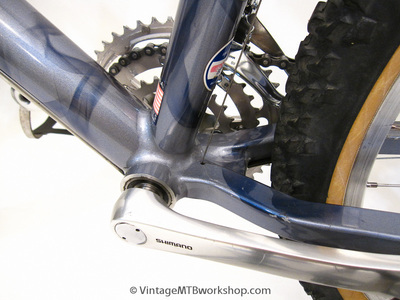 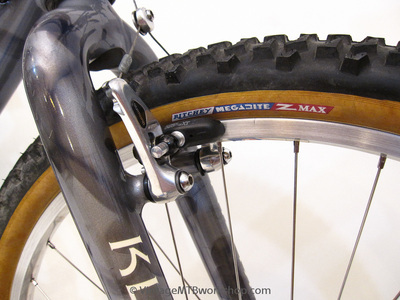 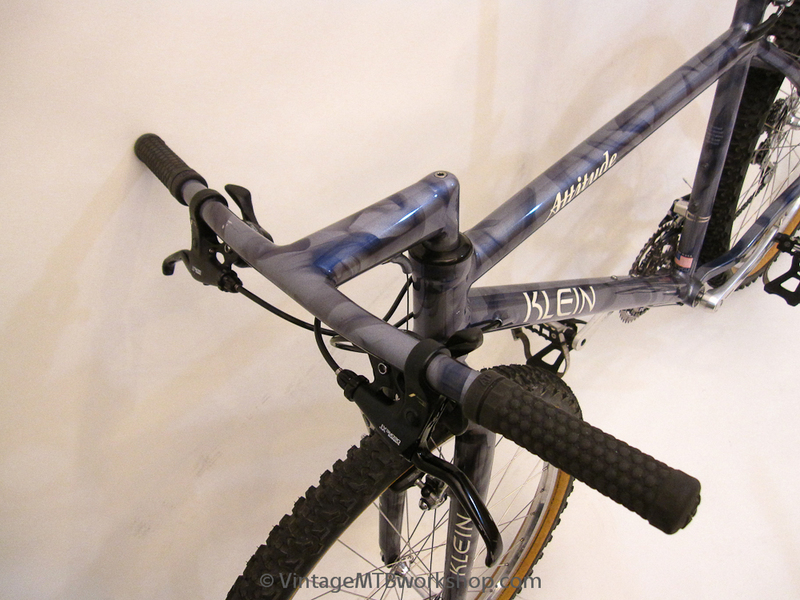 This Attitude fully captures the unique mountain bike experience proffered by Klein, with thin-wall over-size aluminum tubes, an ultra rigid fork, and a fancy paint job. 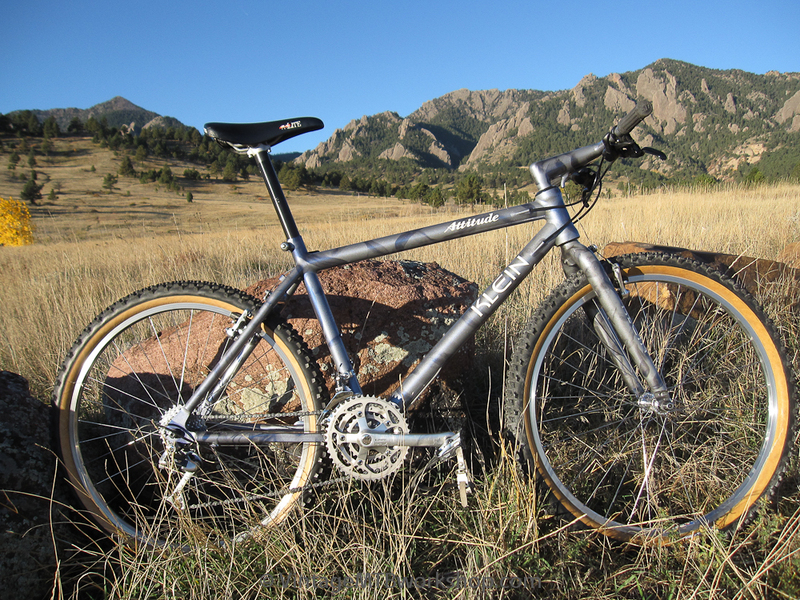 This bike requires that the rider be actively in control, and in return the bike provides a light and nimble feel and snappy handling. 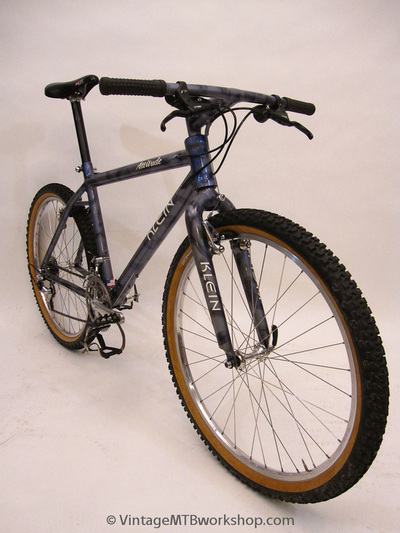 The uniquely rigid ride is the right choice for short rides. 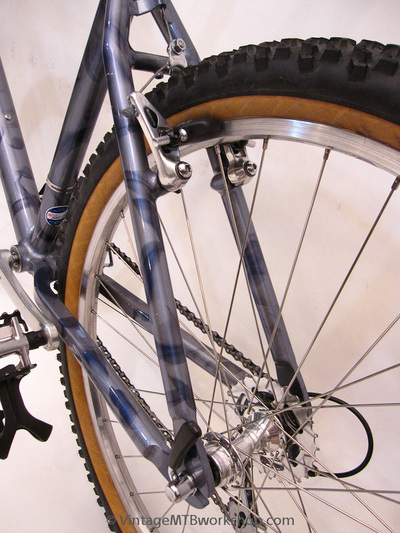 This particular bike features the rare Gossamer paint scheme, which was accomplished by heating the paint while wet with a acetylene torch to create the wavy patterns. The bike has the stock build, which is unusual given the tendency for these bikes to acquire fancy aftermarket upgrades to save weight and increase the elite status.